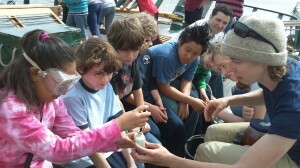 Clearwater offers a variety of Hudson River-based environmental education programs. Our signature program is the “Sailing Classroom” aboard the Sloop Clearwater which has become a model for onboard education programs across the country. 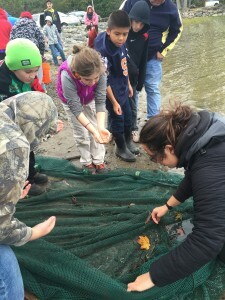 Clearwater also offers a variety of onshore programming along the Hudson River in our “Tideline” program as well as in-class programming during which we bring a bit of the Hudson River to you. 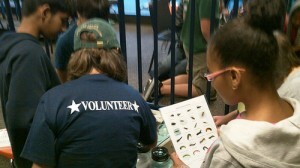 Clearwater’s interactive education programs provide hands-on learning to engage students and promote “learning by doing.” These programs can be catered to various ages and specialized to meet the needs of the students and teachers. Please see below for more detailed program descriptions and click for more information. Our onboard education program offers a unique opportunity for students to study the lands and waters from a new perspective – aboard a tall sailing ship on the Hudson River. Students will participate in a variety of activities including raising the mainsail and studying as the life, water quality, and history of the Hudson River, taking advantage of the sights and sounds surrounding them. Clearwater’s shore-side program brings students to the river’s edge to explore it through a variety of different lenses. Students and teachers will catch, observe, and identify fish and invertebrates, as well as observe the river and discuss its history, all while being challenged to discover their unique place in the river’s ecosystem. Clearwater offers a variety of in-class programming from watershed challenges and history programs, to bringing live invertebrates and fish right into classrooms of any level.